The Bureau of Alcohol, Tobacco Firearms and Explosives (ATF) is offering a reward of up to $50,000 for information leading to the arrest and conviction of the person(s) responsible for the 3800 San Pablo Avenue Fires. On July 6, 2016, authorities responded to a six-alarm fire at the apartment complex development. Authorities responded again, on May 13, 2017, to a five-alarm fire at the San Pablo Avenue development. ATF is offering a reward of up to $25,000 for information leading to the arrest and conviction of the person(s) responsible for the fire on July 6, 2016. ATF is also offering a reward of up to $25,000 for information leading to the arrest and conviction of the person(s) responsible for the fire on May 13, 2017. 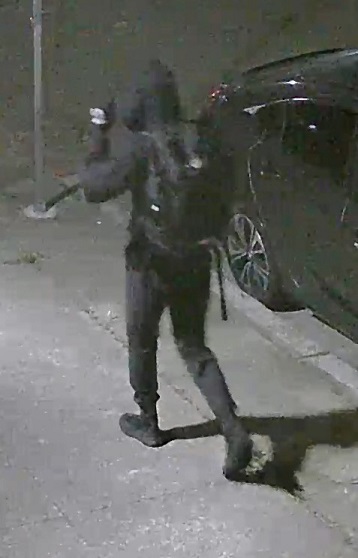 Surveillance video captured the image of an unknown person, authorities believe to be the arsonist, entering the premises just prior to the fire on May 13, 2017. 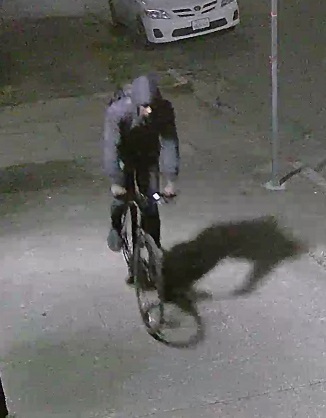 The suspect was carrying a backpack and riding a bicycle to the location before climbing into the structure. Anyone with any information about this crime should contact ATF at 1-(888)-ATF-Fire (1-888-283-3473) or by visiting www.reportit.com or through the mobile “reportit” app, available both on Google Play and the Apple App Store.